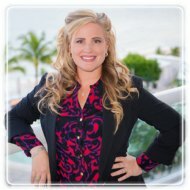 Fort Lauderdale Therapist: Eva Brown - Therapist 33308. Send A Message To Eva. As a Registered Marriage and Family Therapist Intern (IMT 1500), the scope of my practice covers the following relational/emotional concerns including: individual/couples/family therapy, couples retreats, sexual education, pre-marital planning, infidelity, couples intimacy/sexual issues, infertility, sexual abuse/recovery, trauma/PTSD - post traumatic stress, divorce issues and recovery, co-parenting, general relationship issues, communication difficulties, stress management, mid-life crisis, life cycle transitions, self-esteem, depression, anxiety, personal and professional growth, family-of-origin therapy, organizational consulting and systems anthropology, and career development. When I am looking for services/products, I always look at the "client feedback" in order to get a good idea about whether or not it will work for me. Below is an anonymous testimonial written by one of my clients, as you may find client testimonials helpful as well. There are more testimonials on my website, so feel free to take a look around! http://www.CouplesSeekingSolutions.com. "I Highly Recommend Eva Brown M.S. - She Helped Us Save Our Relationship"
My Approach: I utilize a highly effective collaborative, solution oriented, and contextual therapeutic approach that will create new possibilities for your relationship with solutions that work! My therapeutic philosophy is underpinned by the belief that every situation, emotion, and challenge makes sense within the context of an individual's life experience. I am passionate about providing an environment in which my clients feel welcome. I always say, to potential clients that call me for the first time, that the most important thing is that they feel comfortable and more importantly that I am a good fit for what you are searching for in a therapist. Often, I suggest that they come in for one session and then make their judgement about the therapeutic services I offer. In addition, I personally and professionally favor a mindful, self-examined, and relational foundation for which my therapeutic approach evolves and continues to flourish. My Passion: I am committed to reshaping my craft with each new therapeutic journey I take alongside each of my clients. I am committed to maintaining a private practice that promotes evidence based therapeutic models, that are up to date with the best postmodern and brief therapeutic practices available to clients. All of my clients can rest assure that I will work diligently to ensure that their overall therapeutic experience is both meaningful and challenging; thus creating a dynamic journey that can be experienced as fun, collaborative, and growth oriented. Please contact me at any time to schedule your session and visit http://www.CouplesSeekingSolutions.com. Couples Retreats and Couples Intensives: I am also the founder of Couples Retreats for Monogamous Couples Seeking Solutions, which is a 3 day, 2 night/and or one day seminar retreat that is focused on reconnecting and revitalizing the relationships of couples that attend. Please check out our next up coming Couples Retreat and join us!